Studio Octopi is currently interviewing for experienced Post Part 2 & qualified Architect positions. Studio Octopi are looking for an experienced Part 2 & qualified Architect. The successful applicants will be responsible for delivering exemplary projects from inception to completion. Duties will include hands-on production of design, working drawings and specifications, alongside checking technical and construction detailing produced by other team members. You will be joining the practice at an exciting time. The practice recently completed the refurbishment of a Victorian amphitheatre, an arts foundation and continues to pursue urban swimming. Candidates must be able to demonstrate an extensive understanding of design dialogue, materials, construction processes, systems and methodologies, with experience in contract documents and construction administration. Experience with private residential projects is essential. Vectorworks is preferred but not essential. Knowledge of 3DStudio is a bonus. Due to the quantity of CVs the practice receives, we unfortunately cannot reply to every email or postal submission. We keep all relevant CVs on file. Our annual open house for the Australian Institute of Architects' Dulux Study Tour was today. 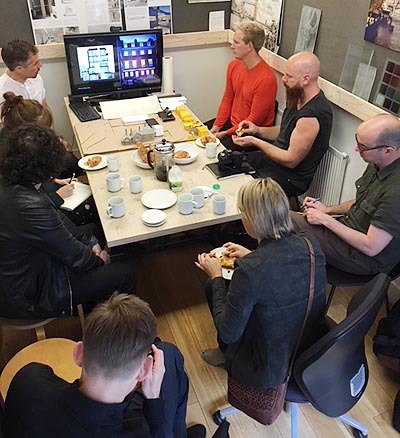 A fascinating exchange of ideas and thinking with Kim Bridgland (Edition Office), Leah Gallagher (Kin Architects), Jason Licht (Cumulus Studio), Joseph O’Meara (BVN) and Dirk Yates (Speculative Architecture). 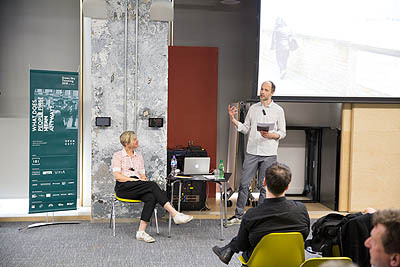 In addition to the regular programme of events and talks, Open City hosted their first ever Live Magazine which we were honoured to be part of. 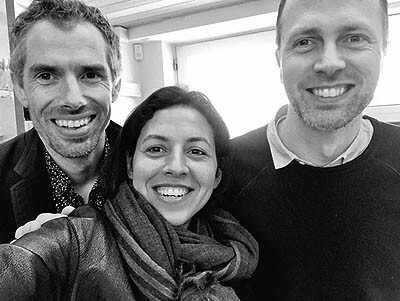 Chris and artist Amy Sharrocks set out their mission to make the world a wetter, better place. However it was not a plea for more rain, but a call for more access to urban water and the realisation that London’s largest nature asset is actively underused. Through Thames Baths that completely redefines our relationship with the Thames, the Peckham Lido, and the rather glorious Swimmoblie project they are fighting for us to be able to reconnect with the water that feeds our city. Amy wholeheartedly willed us to understand the importance of ‘revelling in the dirty waters of London’ and to appreciate the pure pleasure of making a splash. We were delighted to welcome Shahira back into the studio. Shahira Fahmy Architects and Studio Octopi collaborated on the concept for the Delfina Foundation. There was plenty of time to discuss new opportunities in the Middle East and Europe. Watch this space! Have you seen our social enterprise which is re-introducing swimming in the River Thames?